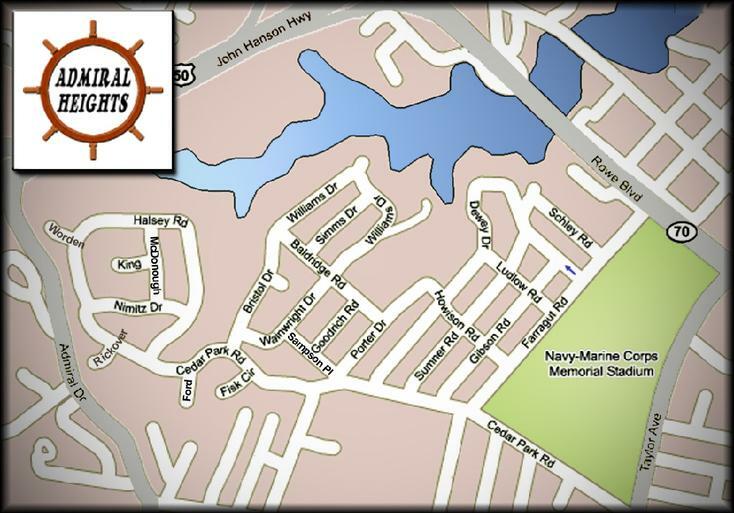 A water privileged community 1.5 miles north of the Historic District and bordering the Navy-Marine Corps Academy Stadium. Parks, dock and boat slips with an opportunity to join the community outdoor pool. Great community of starter and secondary homes. 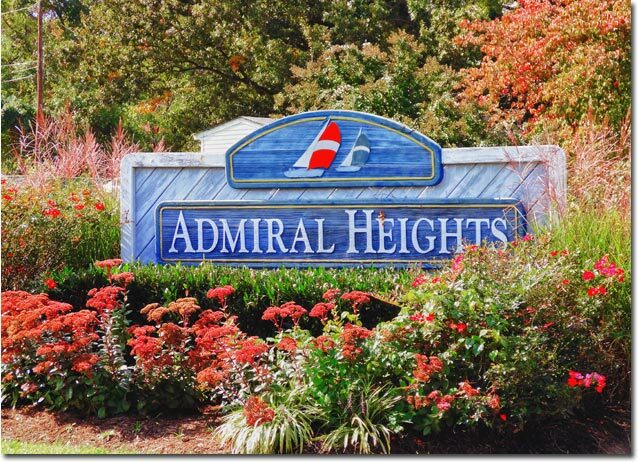 Admiral Heights has a lot of waterside parks on the creek. There's even kayak racks where residents can store their kayaks for easy water use. There's a boat club, and an annual block party every August. And if you're a football fan, this community is right next to the Naval Academy Stadium, and a few blocks from the State House. Go Mids! Their neighborhood has a website, and a Facebook page.